Lawyers you can trust with the things that matter to you. 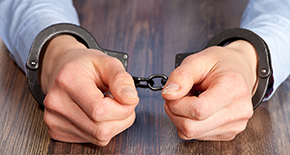 If your liberty is at stake, you need a criminal defense lawyer now. Call immediately for assistance in your case. Welcome to Childers & Motsinger, P.C. Victim Protective Order (VPO) Violation -- Dismissed! Our client was accused by his ex-wife of violating their Victim Protective Order when he showed up at her house to pick up the children. He was allowed to do this by the terms of the orders in place. His ex-wife complained that he backed his vehicle into her driveway so the children could load their stuff up. Why this charge was filed... I don't really know.